In making a house a home we aim to stamp our individuality on a property and make it represent our values and ideas of beauty, which is why a bespoke timber door can be the ultimate statement. The doorway – along with the windows – is very often the main feature on the outside of a house and the right door will add a real depth of character to your home. Yet bespoke timber doors are about much more than stylish good looks, they are also highly functional and energy efficient. If mulling over why to choose a bespoke timber door for your home start by considering the way you want your home to look. When considering design, bespoke timber doors really come into their own. Timber doors look fantastic, whether painted or lightly treated to allow all the intricacies of the natural wood to shine through. Nothing comes close to the look of natural wood. Of course when choosing a bespoke timber door it is also possible to choose a bespoke finish, and have it painted in a colour that will either blend seamlessly with the exterior of your home or add a welcome pop of colour on the doorstep. This makes freshening up the look of your home particularly easy as timber doors allow for easy repainting, immediately refreshing the look of your home. Older or unique properties often present their own challenges in finding replacement fittings should the need arise. These, of course, are the details that set such houses apart and as such most homeowners will be keen to keep them. Indeed in a conservation area, timber doors can be a necessity to protect the look of the community. A strong reason why to choose a timber door for your home is to have the flexibility to have it tailor-made. 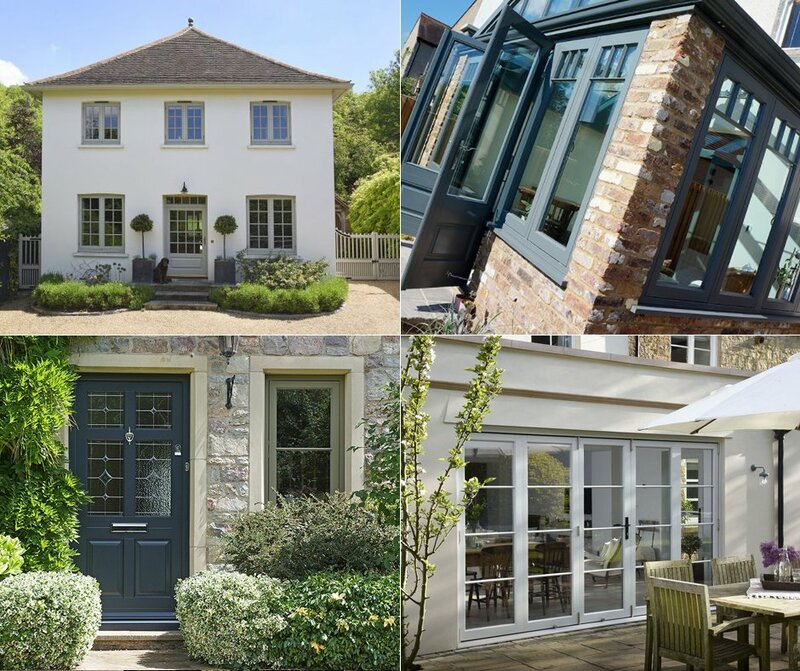 PVCu doors, for example, are generally a standard fitting, whereas the process of crafting a bespoke timber door allows for whatever size or shape you need. Double doors, extra width, panels at the top, glass panels down the side – whatever you want to feature in your door can be a reality with a bespoke timber door. When your home has a beautiful feature doorway that is worth protecting, a bespoke timber door can be made to fit perfectly. In addition to providing flexibility and character, wooden doors are highly functional. The nature of wood means it is a tough single-layer material, which as well as being great for security makes it an excellent insulating material. The insulating properties of a bespoke timber door will mean that it will keep the heat in during winter – and out during summer. It is important when considering why to choose a bespoke timber door to bear in mind the longevity of timber. Wooden doors and windows can last 60 years or longer if taken good care of. This makes timber doors sustainable and cost-effective, with any initial expense certainly paying off during the lifetime of the product. Give your home the entrance it deserves with a bespoke timber door. To find out how we can make the perfect bespoke timber door for your home contact Timber Windows of Leamington Spa. Posted in News, Timber Doors and tagged bespoke timber door, bespoke timber doors, bespoke wooden doors, Leamington Spa, timber door, timber windows of leamington spa, wooden doors.